As a sophomore in high school, Jeff “Lights Out” Hughes was cut from his school’s basketball team. He then turned to wrestling and when high school ended, he became bored and needed to find an outlet for his energy to be put into. It was then he found an MMA gym in his hometown of Caton, Ohio. As they say the rest is history. Now the 29-year-old is one of the top heavyweight prospects in MMA and on July 24, he will compete for a UFC contract on Dana White’s Tuesday Night Contender Series. The road to the big show has taken longer then the top prospect thought it would. Hughes had a long amateur, last four years, from 2007 to 2013 which he went 11-3 in. But it has paid off as he has had an even more impressive professional career, amassing a record of 9-1. 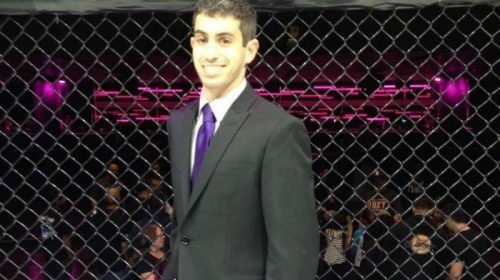 His lone loss coming to UFC veteran and current PFL light heavyweight Dan Spohn back in 2016. 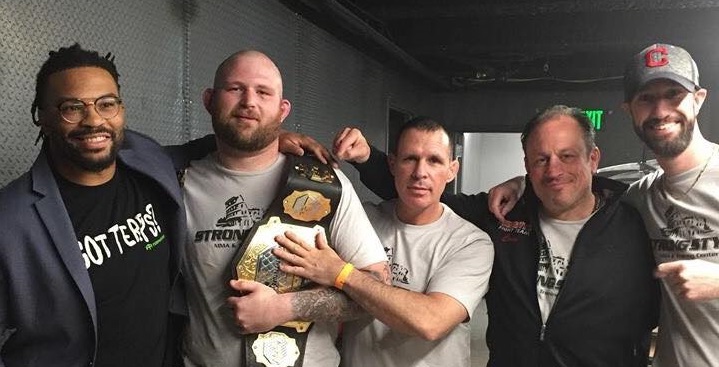 Since his loss to Spohn, Hughes picked up the LFA heavyweight title by defeating Richard Odoms. He then successfully defended the title in April against Maurice Greene. 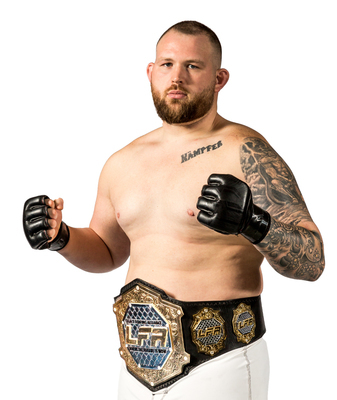 With the LFA title in hand and having defended it, Hughes thought he did enough to earn a UFC contract, but instead he is getting an opportunity to fight in front of Dana White, he found this out shortly after his win against Greene. He was disappointed it wasn’t a straight contract to the UFC but he says it’s just one more test. Not getting the contract straight to the UFC has also given Hughes a chip on his shoulder, which he said is a good thing. It’s also well-known that Hughes is one of the main training partners of former UFC heavyweight champion Stipe Miocic. Hughes didn’t initially start training with Miocic until the past few years but they knew who each other was for a while. When Hughes was an amateur, Miocic was just turning pro, when Hughes turned pro Miocic was just getting into the UFC. The relationship started when Miocic was having trouble finding training partners and his team called Hughes who accepted the invitation and never left the Strong Style gym. Now Hughes is looking to rise the ranks alongside his friend. Training with Miocic has given Hughes the confidence that he can be a top fighter in the world. Hughes acknowledges that nothing can every be done completely by ones’ self and is grateful for Miocic’s help but also says believes he will rise on his on talent and hard work. Currently, Hughes is working a full-time job to support himself, if he is able to win the contract on July 24, he believes it might not be long until he can support his family with his passion. To do that, Hughes will have to defeat Josh “Theh Juggernaut” Appelt. The Juggernaut is a veteran of the sport at the age of 35 and has a record of 15-6. Appelt also has experience on a big stage having fought for Bellator multiple times including a fight against current WWE star Bobby Lashley. Hughes likes the matchup, especially since he enjoys fighting smaller heavyweights. He describes Appelt as a wrestler and a grinder who throws big shots, but that he has the more technical skills. Hughes also believes it will be “Lights Out” for Appelt during the fight. Having watched the Contender Series to know what he is getting into, Hughes is confident that no matter what the other fighters do, he will get a contract.